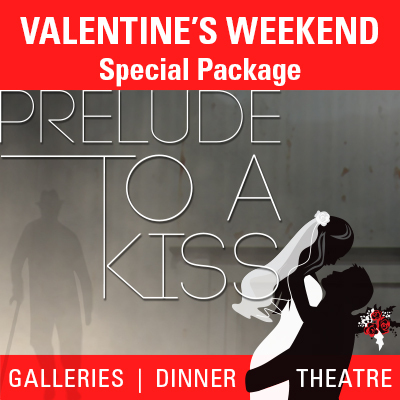 Lovers of art, theatre, and food, the FAC has whipped up a special package for you just in time for the Valentine's season. Our Valentine's package includes admission to the FAC art galleries, a performance of the romantic comedy Prelude To A Kiss, and a gourmet three-course dinner at Cafe 36 — all specially priced for two. To purchase this special package over the phone, call the Box Office at 719.634.5583, Tues.-Sun., 10a-5p.